This is not the first time that this happens to me with a Ken McGoogan´s book. I have read Dead Reckoning again in a record time. In this occassion, Ken makes you run fast through the history of the northwest passage in the same way you would cross it while sailing a small and light vessel. Fast yes, but not that fast as not for having enough time to stop in some of his bays and islets to unbury old legends, Inuit people who sometimes with their lives, helped to forge not the last link of the passage, but almost all of it. I remember Parry said once, during his first expedition as commander, that to get through the middle ice of the Baffin bay you would need heavy ships, as the ones he was commanding, in order to beat the thick ice that usually covers that part of the bay. However, Amundsen demonstrated, almost one hundred years later, the contrary when he accomplished the whole crossing of the passage with his small and maneuverable ship Gjoa. Dead Reckoning, the small yacht with which Ken makes us travel at an amazing speed, will also allow us to get into tortuous corners of the history of the passage to rescue the credit, sometimes forgotten or not enough watered, of the native heroes which actually made a big part of the discovery possible. 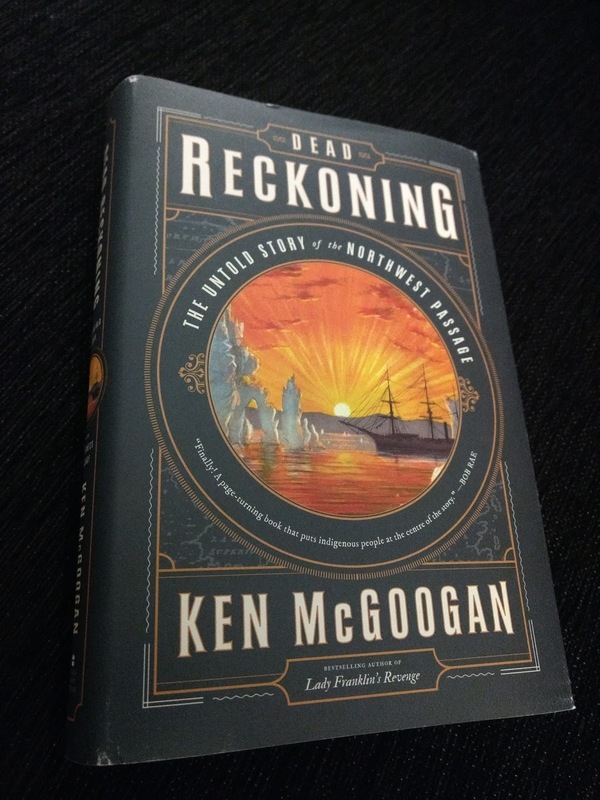 Dead Reckoning is a quick way to approach to the story of the Northwest Passage from a different point of view. There are many and very good books which tell the story in a very detailed way, like the impressive "Arctic Labyrinth" or the very famous "The Arctic Grail" but in the former you can´t read any of those Inuit names Ken mentions in his book, and in the latter, though some of these appear, they don´t occupy prominent places in the chapters they become visible and of course don´t get any recognition for the role they played. A role which has been crucial even till today, as many of you know, when thanks to the Inuit testimony, Terror was finally found saving the searchers tons of money and human effort. Apart of what has been mentioned above, which forms the keel of the book I have been pleasently surprised when while reading Ken´s book I have discovered a "never seen before for me" new portrait of someone who I won´t mention here (Everybody who knows me well is aware of my obsession to put faces to the names of the explorers and characters of who I have read their achievements). So the finding of this one really amazed and delighted me. This of course, wouldn´t be a good Ken´s book about the northwest passage, without rising the topic of the controversy about who actually discovered the last link of it, Franklin or Rae, all seasoned with Lady Jane´s crusade to clean his husband hands of the blood of the men cannibalised during the awful retreat we all know. Dead Reckoning is definitely a book which should decorate your polar bookselves, not only because its design and cover are really beautiful, but also because it will give you the necessary new point of view this story has longer needed. To finish, I would say that the story of the northwest passage has been told many times, sometimes better sometimes worse, what is left then? Is there any need for another book about this topic? In my opinion the answer is yes. We do need a book written by an Inuit historian, a book which will tell us what happened in those desolated islands and channels of water through the eyes of those who actually made it possible, told by those who have lived and still live there and will live there forever. 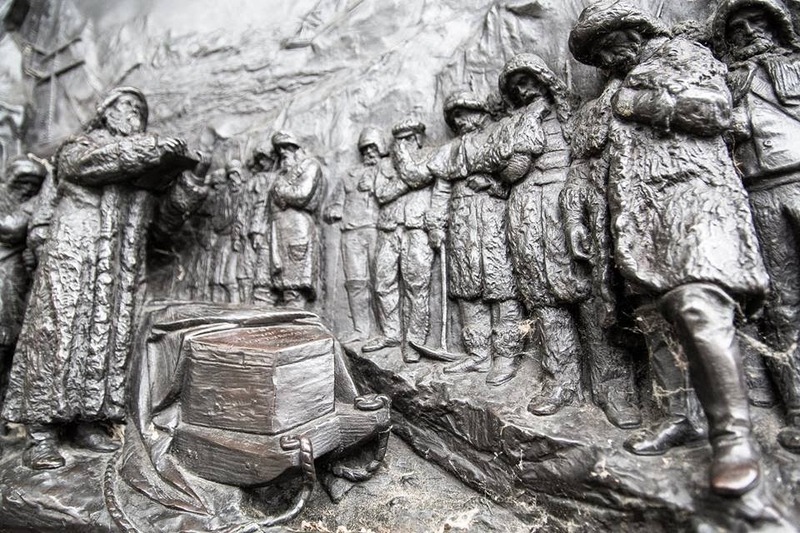 A story which first stone has clearly been Dead Reckoning but which must be detailed further, dressed by the proper background of customs, traditions, feelings and beliefs which only an inhabitant of those lands could supply us in an accurate and credible way. A story told by those whose future is at dire straits for what is coming slowly like a smooth tide, slow but relentlessly... for their good, I wish. Dead reckoning has wonderfuly made our mouths water yes but, I want more! The title says it all! A lot if these explorers really used dead reckoning to get wherever they ended up. How does it feel to use dead reckoning? In my own experience, way back when, I used to walk through the woods to get to school or visit my best friend who lived on a farm. Just knew generally which direction to go and made it there and home. Parry had to travel during four days like that while crossing Baffin bay, when he finally could obtain his position that only differed by two miles from the dead reckoning.